Aside from deciding what to wear and what food to serve on your wedding day, choosing a wedding ring is also an important task which should be on top of your to-do list. A wedding ring is an essential component of the ceremony and marriage because it represents eternal love, devotion, and commitment between you and your partner. And although this tradition has been practiced for centuries, the symbolism of a wedding ring continues to remain strong up to this very day. Because of its importance, more and more wedding ring designs are available for couples. You’ll have a wide variety of options to choose from when you’re buying a pair. However, with the choices available for you today, do you know what to choose? 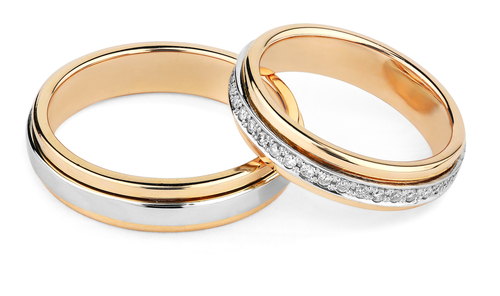 More importantly, do you know what to consider when buying wedding rings? Let the list below help you with this dilemma. 1. Decide what kind of metal and style your wedding ring should have. Wedding rings are essential because this might be the only piece of jewelry you’ll wear for the rest of your life. This can symbolize a lot of things for you and for your marriage, which is why you should be careful on the kind of metal and style you’d choose. Discuss among your partner if you two would want a gold or silver wedding ring. If you’re interested in buying something which has stones in it, let your partner know, as well. During this process, it’s important that the two of you learn to compromise, especially if you have different preferences. As much as possible, both parties should agree on the metal and style of the wedding ring since the two of you will be wearing it. 2. Create an appropriate budget. Money is an important resource when planning your wedding. You’ll need to follow a specific budget to ensure that you and your partner will not fall into a financial turmoil just because you’re getting married. The same notion should also be applied when you’re buying wedding rings. You should come up and follow a certain budget for this purchase. Usually, wedding rings can cost around $125-$600 depending on the style and material used. If you want to find the best wedding ring for your budget, take time to browse through different sources first. You can scout through different physical stores around your area or opt to buy online. Manlybands.com, for example, is a good option for the latter. You can also watch this video to get an idea about the different types of men’s wedding ring. 3. Make time to look for options. Wedding rings can easily be purchased almost anywhere. There are a handful of stores that sell and even customize wedding rings. One way of lessening the stress you’ll have when preparing for your wedding day is to make time looking for options. You and your partner should start looking for a wedding ring two months before the ceremony or even earlier. If you’re eyeing to have your wedding rings customized, you should allow more time for the purchase. Usually, a customized wedding ring will require at least a month of preparation. Wedding rings are a symbol of your marriage and commitment. You will be wearing this every day, which means that you should use one which is suitable for your lifestyle. No one wants to wear a wedding ring if it disrupts them from functioning daily. If you have an active lifestyle, consider buying a thinner wedding ring over thick ones. If you usually work with your hands, stay away from diamond rings as the stones can gradually trap dirt. 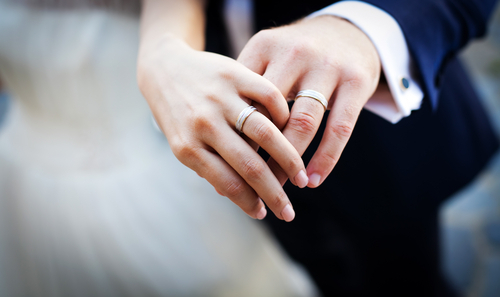 If you have sensitive skin, look for hypoallergenic wedding rings. The price of the wedding rings is important, but this shouldn’t be your sole deciding factor in choosing. Since you and your partner will be wearing these wedding rings for the rest of your lives, you should check their quality, too. You want your wedding rings to endure the test of time, just like your marriage. When buying wedding rings, look for the manufacturer’s trademark, mineral content, and the type of metal it has. A high-quality wedding ring has these markings so take time to check. You’ll have a lot of things on your plate once you decide to get married, such as taking care of several tasks to ensure that your wedding day will be as flawless as you’ve imagined it to be. If you want to achieve this goal easier, pay attention to the kind of wedding ring you buy. Along with you and your partner’s personal preferences, use this article as your guide in choosing. Buying that perfect wedding ring will be easier when you know how!